Lokayata Darshan or Charbak Darshan ia one of the main branches of Indian philosophy. It is spiritualism anti-atheistic and materialistic philosophy. This philosophy does not believe in any kind of inspiration. 'proof' according to the source of true knowledge. 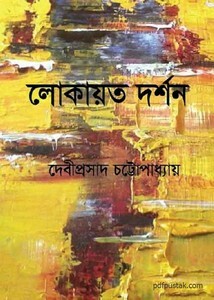 The philosophy book written by Debiprasad Chattopadhyay who was a prominent Marxist philosopher of India. The Bangla boi has 284 super quality pages with 2mb file size and edited by Sisir Suvro.